HomeDrone newsGreat news for DJI fans! DJI SPARK! Great news for DJI fans! 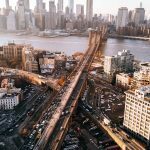 Regardless of the fact that all fans of aerial video techniques are looking forward to the release of the new drone, DJI Phantom 5, it seems to be that a famous quadcopter manufacturer conceals a very important project. It seems like DJI decided to focus on simpler and cheaper models. Several weeks ago, the company released a long-expected DJI Phantom 3SE – the cheapest 4k drone in the world. As far as not each person can afford to buy expensive and high in functionality drones, thousands of customers were waiting for this release. Nevertheless, this is not all news. As you know, it is impossible to conceal anything on the internet. It seems like the company couldn’t prevent the data leak because last week, the information about the new model of a drone appeared online. The new drone, DJI Spark is a smaller copy (some people say a “younger brother”) of much-talked-of model Mavic Pro. Mavic Pro hit the market not so long ago, but still, this drone managed to change the human’s idea of how a small, portable drone should look like. People used to think that drones are the coolest devices for aerial shooting but they are too bulky. Mavic Pro is the drone of the new generation which makes boast of a number of options and portability. The developers managed to combine two main aspects in one drone: high functionality and portability. DJI Spark is even smaller than Mavic Pro. If to believe the information published online, this model will have the size 130*150 mm. It goes to show that you may even put this drone into your pocket or a small bag. It will not take too much space. If to believe the photos published online we can see that DJI Spark will not have a folding mechanism. Drone blades will be fixed. Some experts consider that it will be a racing drone. For that reason, its size is too small. All information, you see online about this model is just based on standpoints of experts who saw the photos of this device. The company manufacturer still doesn’t give the official information about the brand Spark. We don’t have the official information about the average cost of a device. Nevertheless, if to take into consideration the pricing policy of other drone manufacturers producing similar models, we suppose that its price will vary from $300 to $400. Yet still, DJI is regarded to be the best drone manufacturer on the market. For that reason, it may increase the price up to $500. There are lots of people who are ready to pay any sum of money to get high-quality products. As soon as this model hits the market, our online store will be the first one, offering everyone interest to buy DJI Spark at the best price. Buying DJI Spark in Dubai from our store, you well get the smallest and the most powerful drone at the most affordable price. A new drone has many interesting features and options. Let’s look at them in detail. • The diagonal size of a new model is just 200 mm. • The drone can be charged with the help of usual USB. • DJI Spark has the so-called quick connectors that are placed on battery, so the drone will be charged on a special magnetic station like Mag Safe or Apple Watch. • The infrared obstacle avoidance system will help the drone avoid any types of objects with ease. • The control of a new drone will be fulfilled by both Mobile App and RC. • DJI Spark got VPS and Sonars sensors that are directed downwards. • A new device will have the inbuilt GPS system similar to the one which is used in Mavic. • The experts decided that a new model should contain 2-axis gimbal. • The drone is compatible with DJI Goggles. • When operated with the help of RC, the drone can be used in sport mode. • Each foldable propeller is 12 cm long. • The framework of the new model is made of high-quality plastic, so it will be rather difficult to break the drone. • The drone is equipped with 2 powerful cameras. The cameras will have different technical characteristics. It is considered that one of them will be oval and will resemble the camera of the latest version of iPhone. • It’s considered that this model will also be equipped with an active track feature. • Video characteristics are also very powerful. The drone will be able to capture 4K videos and 12 MP prints. • The flight time of DJI Spark will be approximately 15 minutes. It is a usual time flight of similar devices. • The drone will be equipped with a special gesture mode. The information, which was received from insiders, states that the DJI Spark will be presented in summer. Of course, the drone can receive some additional features. Also, its technical characteristics can be changed. DJI Spark will be presented in 2 versions. The kit with 3 batteries will cost approximately $500 or $600. The price of the RC version will vary from $400 to $450. Definitely, now no one knows the precise technical characteristics and pricing policy because the manufacturing company doesn’t want to make an official announcement. However, we think that the new drone will have the technical specifications that we presented in the article. The New DJI Spark - Seize Any Moment Easily!